Presenting a powerful show that thrills and captivates audiences everywhere. 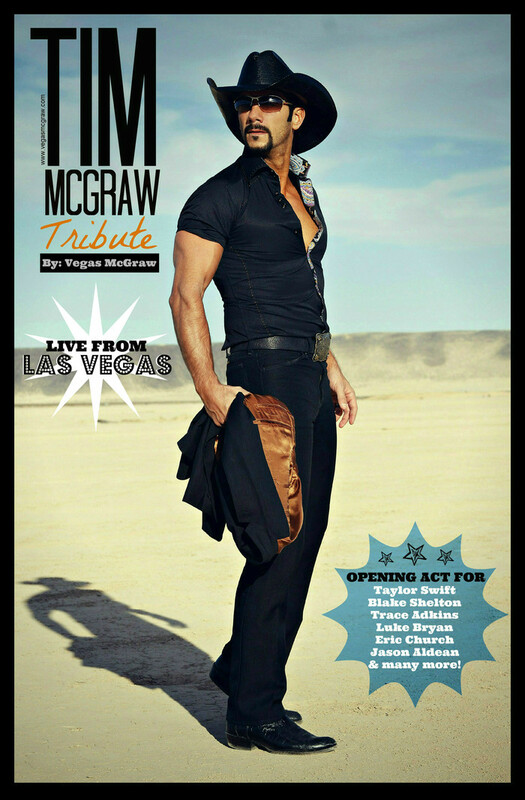 This Tim McGraw tribute performed by Nashville recording artist and Las Vegas Entertainer Adam D. Tucker accurately recreates the music and mystique of country music ICON Tim McGraw. Adam and his talented crew have opened up for 42 National Acts all over the United States, such as: Taylor Swift, Trace Adkins, Jason Aldean, Charlie Daniels, Blake Shelton, Josh Turner, Luke Bryan, Eric Church, Tracy Lawrence etc. The response has been overwhelming and invitations from large corporate events to fairs, festivals, casinos and charity benefits have presented themselves. The timeless sound of Tim McGraw proves appealing to audiences of all ages, bringing back memories and touching the hearts of all. This talented group of musicians showcase Tim McGraws' mega-hits from the 90's such as Dont Take The Girl, I Like It I Love It, Everywhere and his current radio hits of today! This tribute was formed to salute Tim McGraw and bring his music to your city, so get ready to experience the best Tim McGraw tribute show going today! CD Features 16 Songs Recorded on Music Row in Nashville, TN.